Another luxurious giveaway on this blog. 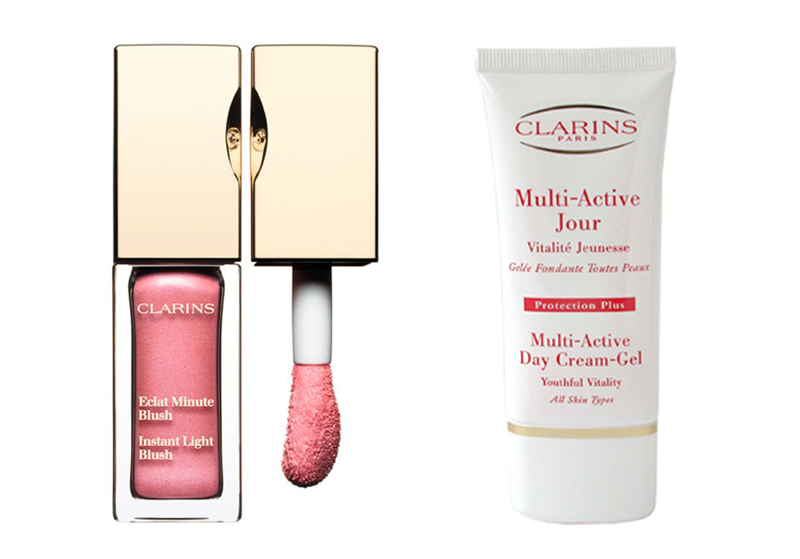 Today you can win two products from Clarins - Eclat Minute Blush and Multi-Active day cream. Fulfill two mandatory rules - follow this blog and leave your contact and cross your fingers. If you also meet the optional rules, you will increase your chances of winning. Giveaway is open internationally and will run until 15.9.2014. Ďalšia luxusná giveaway na tomto blogu. Dnes môžete vyhrať dva produkty od Clarins - Eclat Minute Blush a Multi-Active day cream. Splňte dve povinné pravidlá – sledujte tento blog, zanechajte na seba kontakt a k tomu si držte palce. Ak splníte aj tie nepovinné, zvýšite svoju šancu výhry. Giveaway je otvorená medzinárodne a pobeží do 15.9.2014. Amazing post! I totally love your blog! Love Clarins products, they are such a delight! Thank you EMA for this wonderful giveaway! I keep my fingers crossed!